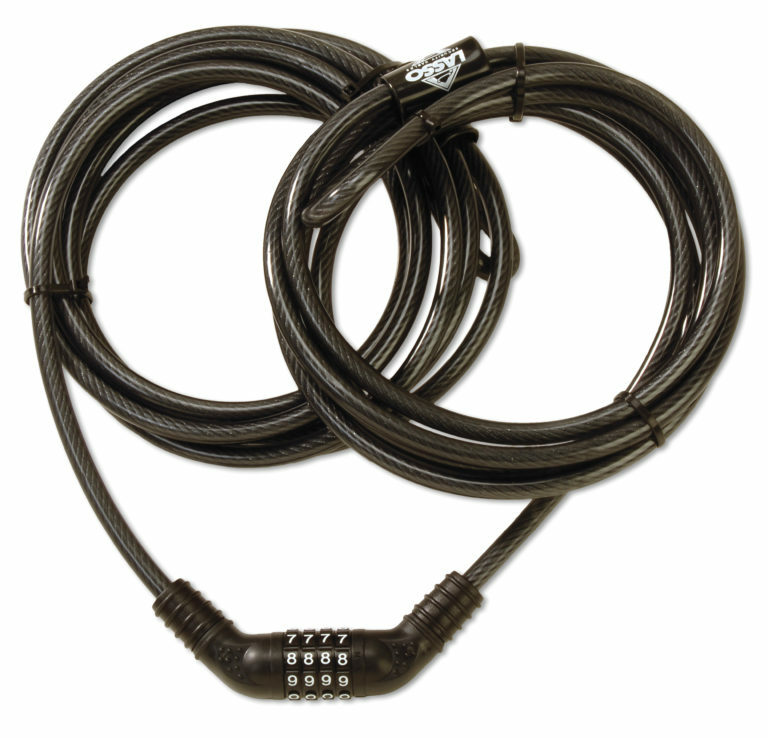 Lasso Security Cables are simply the strongest, easiest and most effective theft deterrent available for your kayak. Our integrated tamper resistant locks combined with the vinyl coated galvanized steel cable, make Lasso kayak locks the strongest security devise available for your kayak. Thicker than other cable locks and easier to use, Lasso secures or removes in seconds. 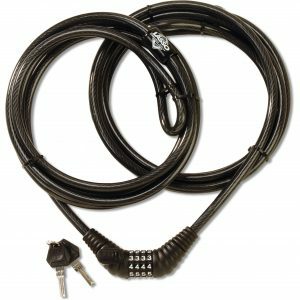 The New Lasso Kong Cable is a striking visual deterrent that includes key or combination in the same lock housing for the ultimate in versatility. •	Lasso security Cables have an easy to use, integrated combination lock that allowes you choose what ever four digit code works best for you. The lock is covered in a high impact protective plastic that keeps your vehicle and kayak from being scratched. The smaller vinyl coated cable and lighter lock make the original Lasso supple and easy to work with. With Lasso protecting your kayak, would be thiefs are likely to go looking for an easier target. •	The Original Lasso kayak lock is smaller and lighter to carry and easy to store if your needing to take it with you in your Kayak. •	Both the the Original Lasso and the Kong Cable are designed to secure your entire kayak, not just a grab loop or other attachment and is a stricking visual deterent. This model will fit all single-occupant closed deck touring kayaks that we are familiar with.